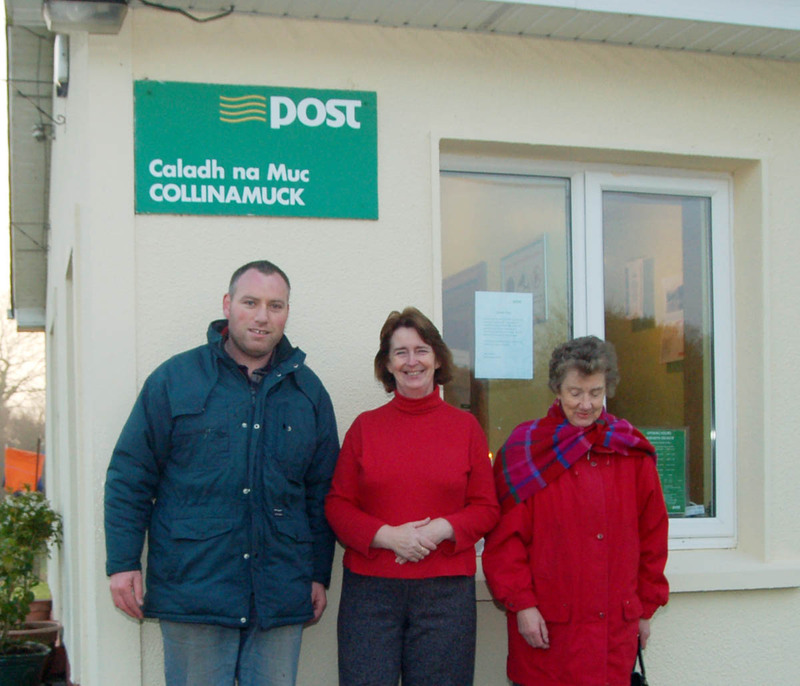 The closure of the Collinamuck Post Office took place on December 31st 2007. The last pension payout took place on Friday, December 21st 2007. There has been a Post Office serving the community in and around the Collinamuck area for more than 60 years. Customer Matt Keady who cycled to the Post Office for the last time, expressed his sadness at the closure and said, “there has been a Post Office in Collinamuck for longer than I care to remember”. The Collinamuck Post Office has been managed by Mary Melia since 1983.